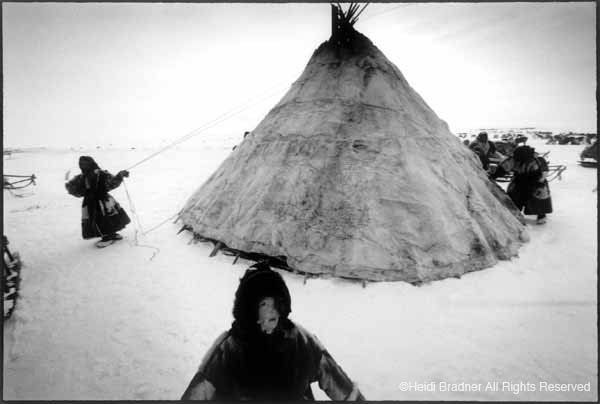 Please consider giving a donation to help make the world aware of the Arctic ecosystems and nomadic way of life of the Nenets. All donations are via Blue Earth - a non-profit charitable organization. Your donation, in whatever amount, is key to helping me bring this portrait of the Nenets to the public via my educational and visual presentations. Guangdong Museum of Art, Guangzhou Photo Biennial, "The Modern Documentary" May 12-Aug 24, Guangzhou, China. Houston FotoFest, March 2006 "Land of the Second Sun"
Flint Institute of Arts, April 2006 "Thy Brother's Keeper"
National Geographic Magazine, July 2005 "Chechnya How Did It Come to This"